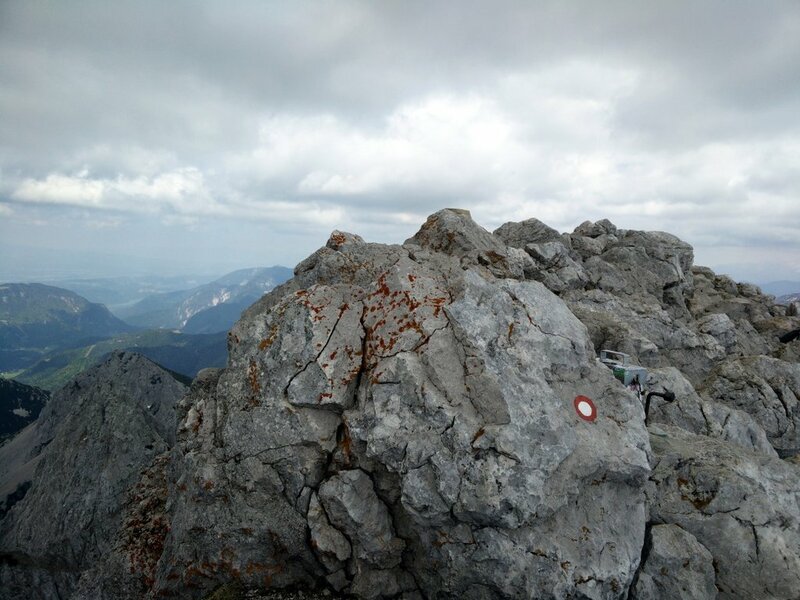 After hiking in the French and Austrian Alps, I continued my “Hiking the Alps” tour by climbing the 2236 meters high mountain Stol (Hochstuhl in German) in the northwestern corner of Slovenia, close to the Austrian border. 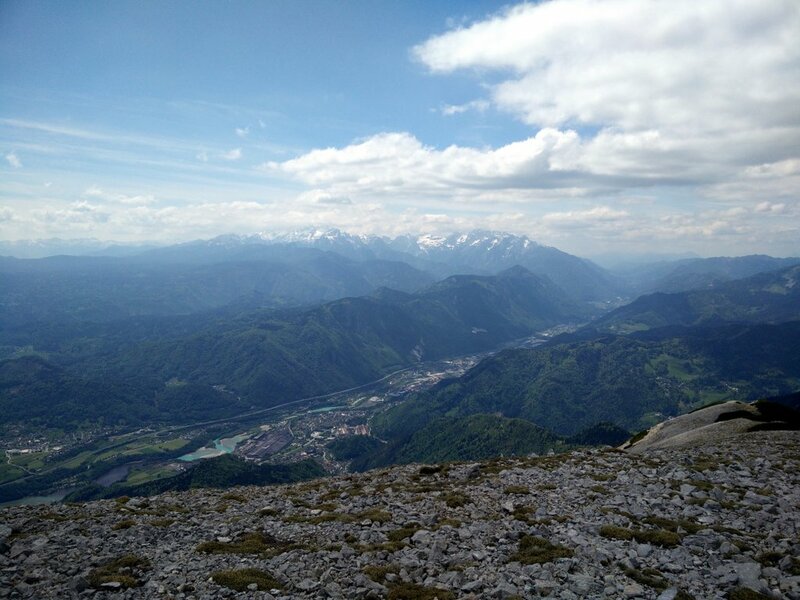 Stol is the highest mountain of the 120 kilometers long Karawanke mountain range which is a section of the easternmost part of the Alps. 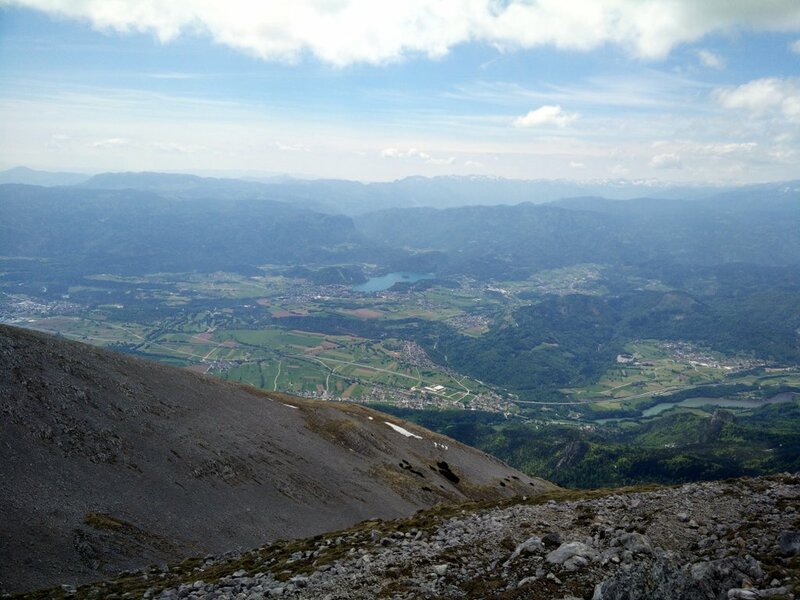 I decided to climb the Stol peak because it was one of the few 2200+ meters high peaks in Slovenia that wasn’t covered with snow in May when I was there. 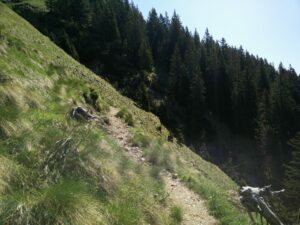 There are several trails leading to the peak. 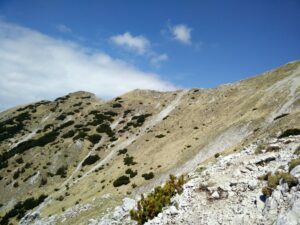 In order to avoid larger snow patches, I decided to take the trail that starts at the mountain hut Valvasorjev Dom and ascends the peak over its southern slopes. Therefore, I didn’t need heavy equipment such as crampons and ice axes to conduct a safe ascend. 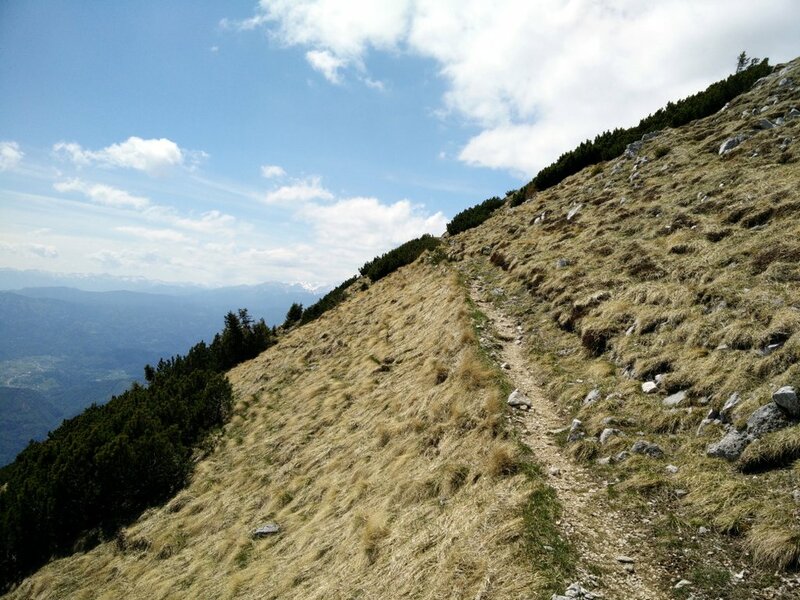 The Stol trail is not technically challenging but it does require decent physical preparedness as it over the distance of 11 kilometers ascends/descends for more than 1300 meters. If the trail is covered with snow (typically in winter and early spring), you will also need additional equipment such as crampons, ice axes and gaiters to execute this hike safely. The trail starts at mountain hut Valvasorjev Dom which is located relatively close to Bled – a famous Slovenian town which is in summer months typically crowded with tourists due to its picturesque lake. 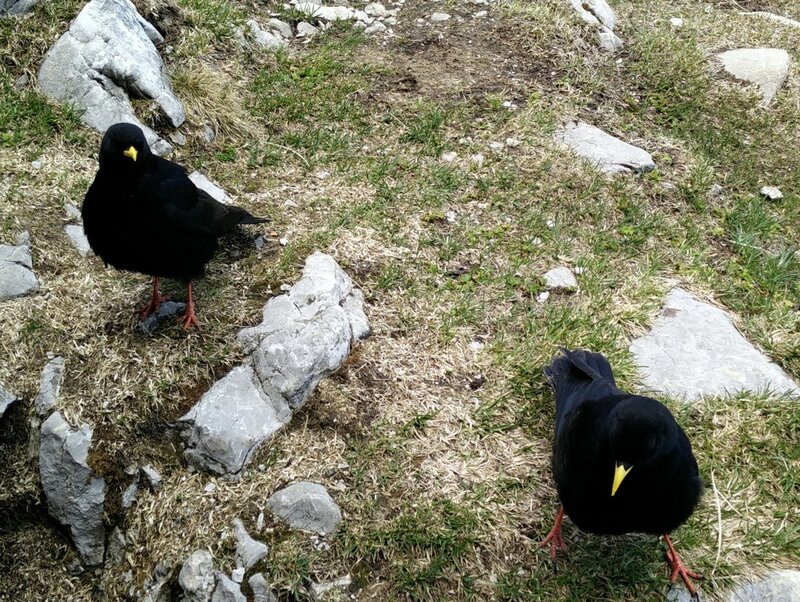 In order to reach Valvasorjev Dom you should drive along the Slovenian E61 highway, which connects Slovenia with Austria and Italy (Trieste – Ljubljana – Villach), until you reach the Lesce exit. Then take the Lesce exit and soon you will arrive to a roundabout. Here take the first exit (direction of Zirovnica) and continue on the road which runs parallel to the highway. You will drive through villages Vrba, Zirovnica and Moste. At the end of the Moste village (soon after the bridge over the river Zavrsnica) you should turn right and continue for a little less than 1 kilometer, until you reach the direction sign for Valvasorjev Dom. Here turn left and continue on a gravel road for 5 kilometers until you arrive to Valvasorjev Dom. The gravel road is well-maintained and thus you don’t need a 4X4 vehicle to drive on it – unless it is covered with snow (typically in winter and early spring). However, as the road is very narrow and steep, it requires good driving skills. There is a small parking place at Valvasorjem Dom where you can park your car for free. Unfortunately, the starting point is not accessible by public transport – you could probably get to the Moste village by bus but it would require additional 7 kilometers on foot from the village to the starting point. The Stol trail is well-marked with direction signs as well as painted red and white circles on rocks, trees etc. Therefore, navigating the trail is not difficult. 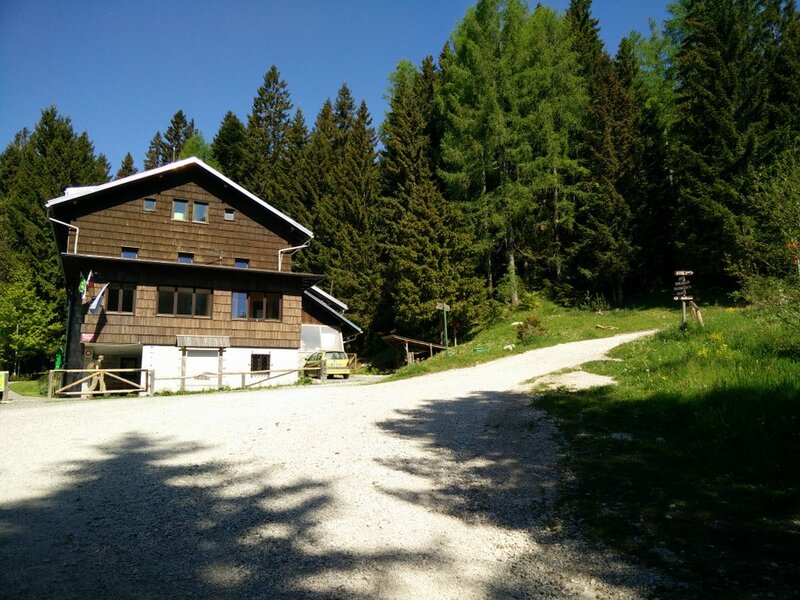 From the mountain hut Valvasorjev Dom start walking on the narrow dirt track towards east and after walking for approximately 800 meters on a relatively flat terrain you will reach a crossroad. There is a direction sign in the crossroad and you should go left in the direction of Stol – Zirovniska Pot (right Stol – Zabreska Pot). 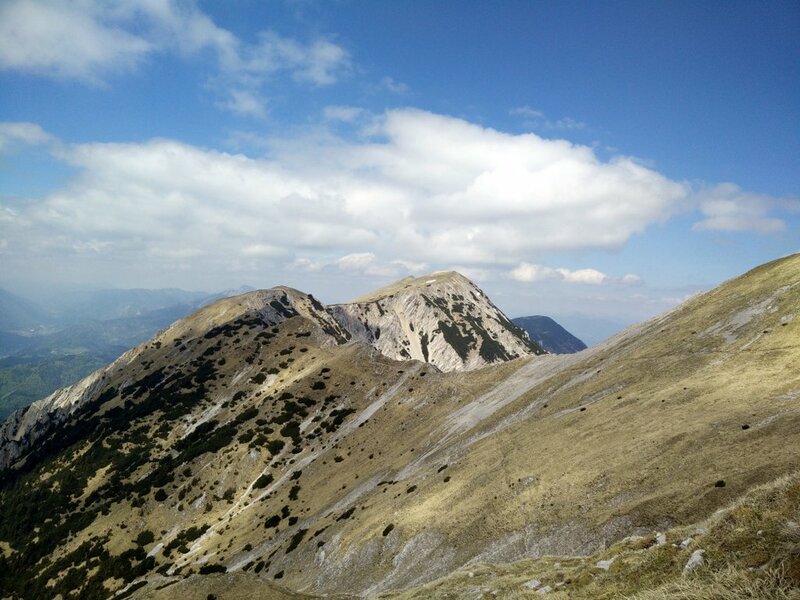 Both trails lead to the peak but Zirovniska Pot is slightly shorter. From here on the trail becomes even narrower and ascends rapidly towards north. After hiking for 2.3 kilometers altogether and climbing for a little less than 600 meters the trail will change its direction towards east. 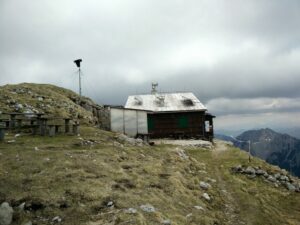 From here on you have only 1 kilometer of hiking left to the mountain hut beneath the peak (Prešernova Koča). However, the mountain hut was closed at the time when I was doing the hike (May) – it is typically opened between June and September. After a brief research I figured out that in addition to drinks, the mountain hut also provides cooked meals. From the mountain hut you have only ten minutes of hiking left to the top. 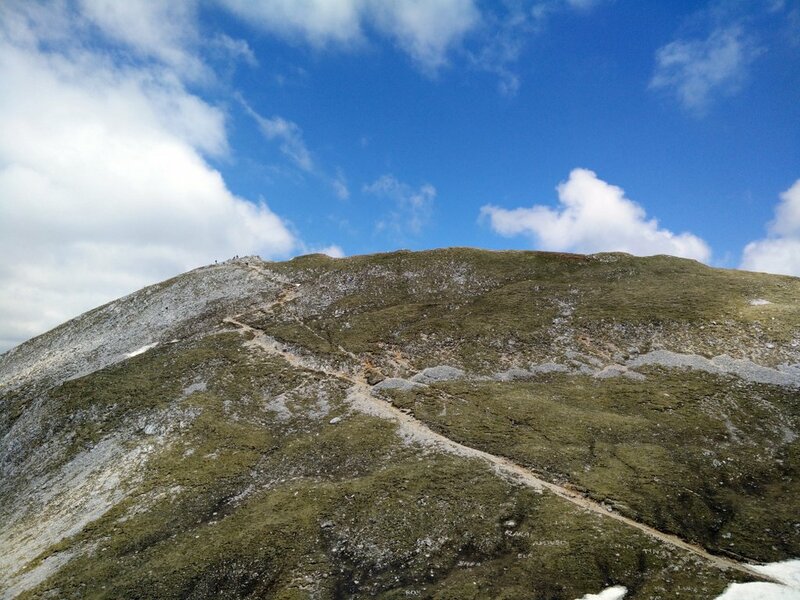 Continue on the narrow path towards north-east which first descends slightly and then ascends towards the peak (in the direction of north-west). Soon you will reach the top where you will be rewarded with a great view on the surrounding peaks and the valley beneath. 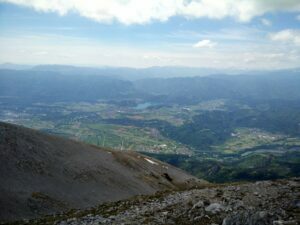 From the top you can also clearly see the famous Bled lake. 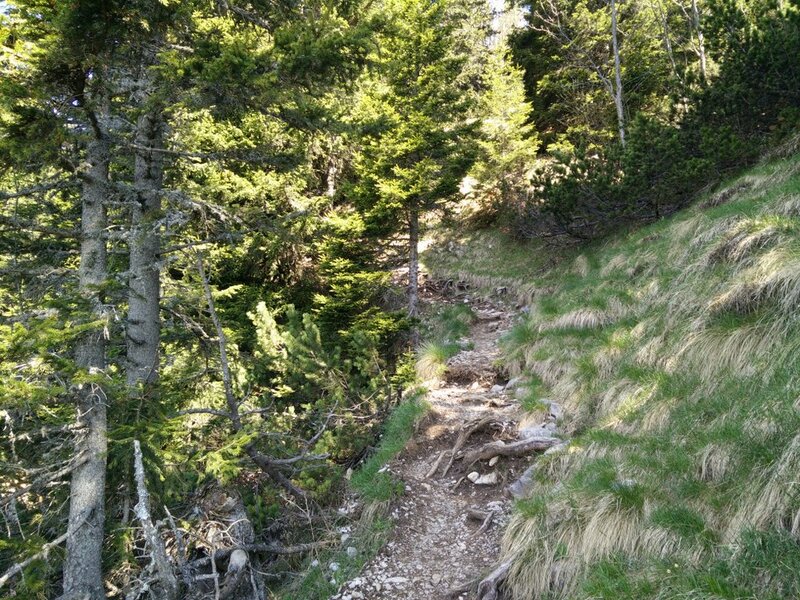 For the way back I decided to take a different trail after reaching the mountain hut beneath the peak (I used the same trail to the mountain hut). From the mountain hut I continued for approximately 250 meters on the same trail but then I traversed a scree in the direction of north-west. Soon I reached a narrow path which runs towards west on top of the ridge, and thus offers a great view on the valleys to the north (Austria) and south (Slovenia). 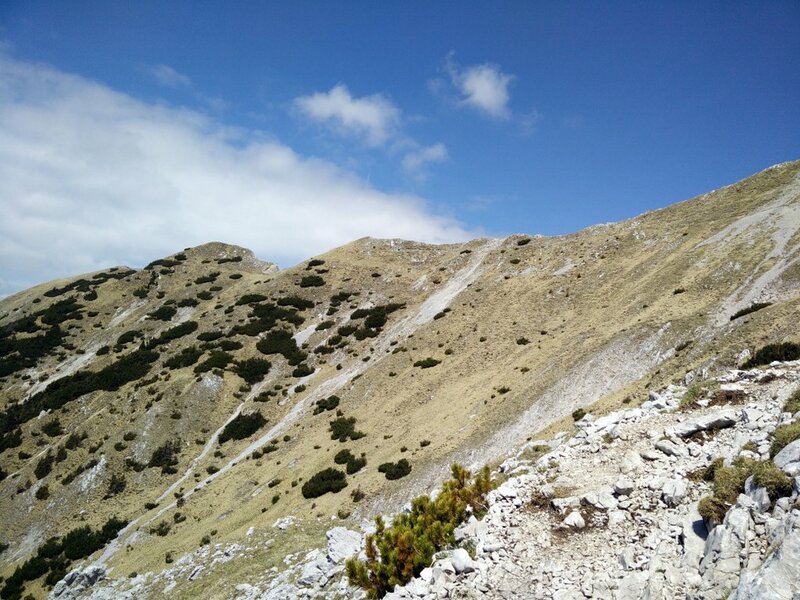 After hiking on top of the ridge for approximately two kilometers, you will reach a crossroad where you should take the path that goes towards south (left). The path descends rapidly and then turns towards south-east. Soon you will reach a wide dirt track which leads back to the starting point. After hiking for approximately 2 kilometers on this track you will be back at Valvasorjev Dom. As the temperatures were relatively high and the hike wasn’t technically challenging, I didn’t bring too many things with me. During the hike I was wearing the Wooly Merino t-shirt, Montane Terra Pack pants, Salewa Mountain Trainer Mid hiking boots, Woolx Merino Boxers, baseball cap and socks made of Coolmax fibers. In my Osprey Talon 22 backpack I was carrying the Mountain Hardwear Monkey Man fleece jacket, Montane Minimus rain jacket, food, 3 liters of water and some accessories. When I reached the altitude of 1900 meters, I had to put on both the fleece and rain jacket as it got cold and very windy up there. The Montane Minimus jacket is a hardshell jacket which offers great protection against the wind and rain. I’m very satisfied with the jacket as it is breathable and super lightweight (it weighs merely 230 grams). Therefore, it is perfect for fast ascents in the Alps. 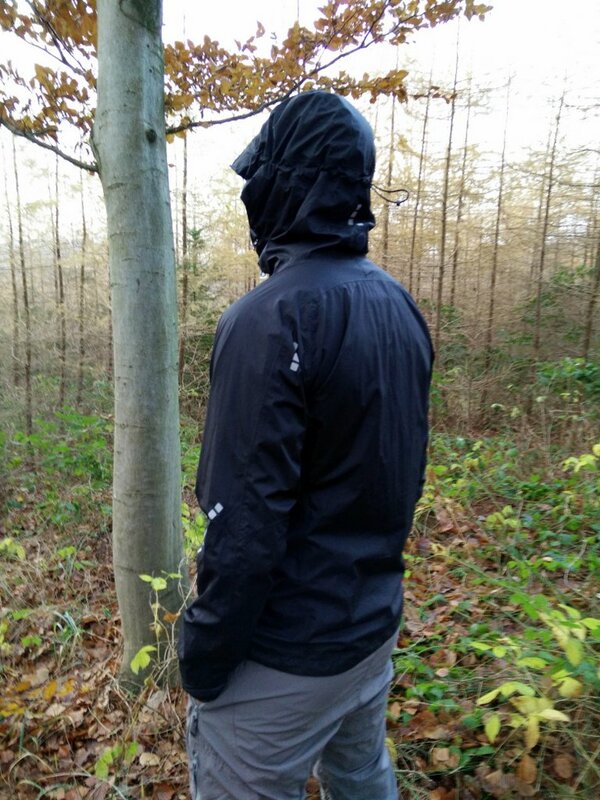 The jacket has a fully adjustable hood which stays firmly on your head even in the strongest winds – due to the high collar you need to unzip the jacket in order to get the hood on or off. The Stol trail is not a technically challenging trail and therefore it is suitable for basically everybody who is in decent shape. However, keep in mind that in winter and early spring the trail might be covered with snow and thus require crampons, ice axes as well as winter hiking skills. In summer the temperatures can get quite high in this area. Therefore, I recommend bringing sun cream, headwear and at least three liters of water. Nevertheless, you can also buy water in a mountain hut but it’s typically pricey. I also recommend that you check the weather forecast before going. If there is a chance of thunderstorms, I advise you to postpone the hike – thunderstorms are a serious hazard in the Alps.